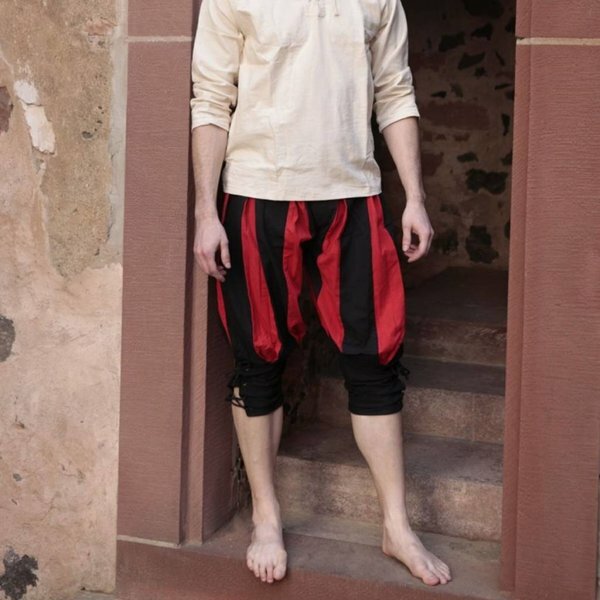 These trousers are made after 16th century originals. 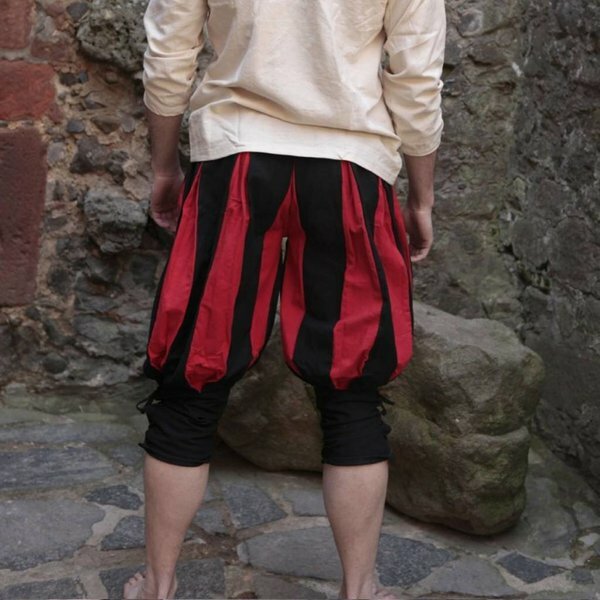 Trousers like these were worn by i.a. the German Landsknechten during the late 15th to the early 16th century. Garments like these were the European fashion during that era and it shows the flamboyant look of the Baroque style. 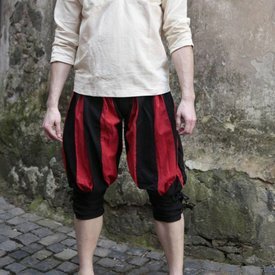 These trousers are made of 100% cotton and are hand dyed. They are closed with two buttons at the waistband.